Following the announcement of Windows 10's official launch date (it's July 29th, in case you were wondering), Microsoft has also revealed just how much Windows 10 will cost for those who are building new systems or who aren't eligible for the company's free upgrade offer. Basically, Windows 10's pricing will stay the same as Windows 8.1's current pricing in the United States. That means Windows 10 Home will retail for $119, just like standard Windows 8.1; while Windows 10 Pro will retail for $199, just like Windows 8.1 Pro. 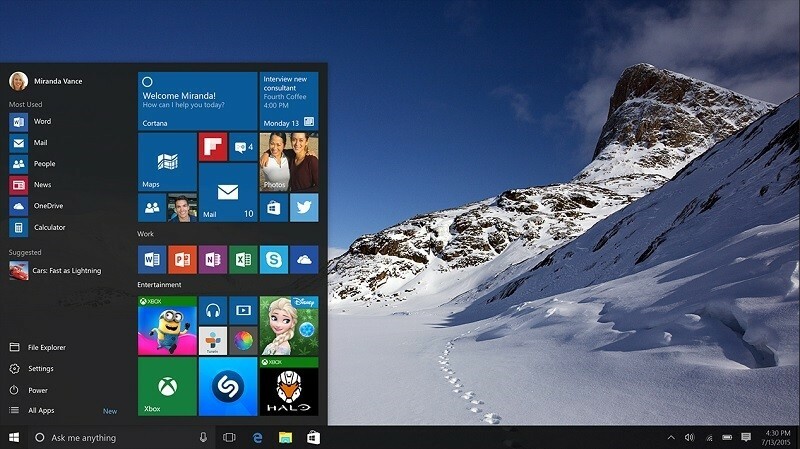 The Windows 10 Pro Pack, allowing you to upgrade from Home to Pro, will cost $99. Although Windows 8 users are not directly eligible for an upgrade to Windows 10, by upgrading to Windows 8.1 for free, they will be able to take advantage of Microsoft's offer. As for Enterprise users, Microsoft will provide upgrades through their standard licensing agreement.